If only all houseguests were this quiet, independent and compact - lol! 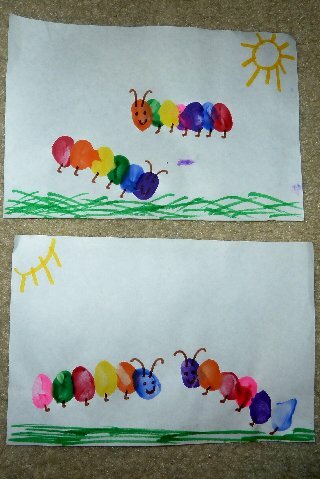 So as you've probably guessed by my little intro - this week was all about Caterpillars for the Lil Divas! Watching caterpillars grow, change & transform always excites me - no matter how many times I have witnessed their metamorphosis - it is simply AMAZING! 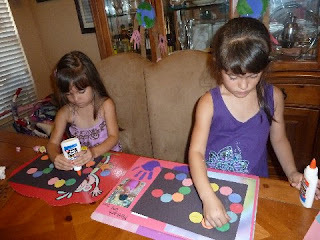 On to other fun stuff - What have the Lil Divas been working on this week? 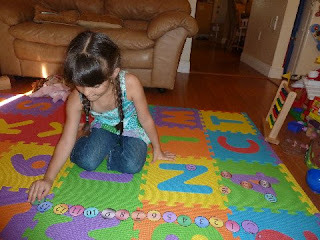 Caterpillar Letter C: What better way to review the letter Cc & celebrate that C is for Caterpillar than by making Caterpillar Letter C's! 1. Give Child Tracer for Letters Cc on background paper (we used black) and have them arrange circles to form the letters on the page. 2. 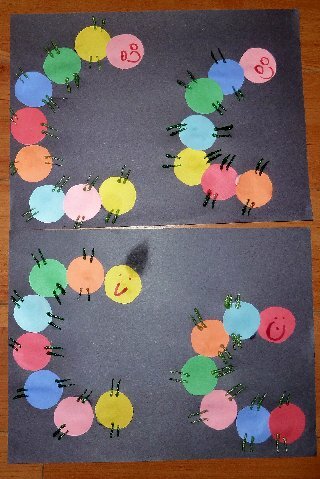 One all circles have been glued on to form letters C & c - have child add legs, eyes, mouth and antenna to form caterpillars! We used glitter glue for the legs but markers work just fine. You can add wiggly eyes too. The Lil Divas wanted to draw their faces with markers so taht is what we did. They came out so cute! Letter C Handwriting Practice <---- click for handwriting printables from Confessions of a Homeschooler - including the letter Cc pictured below that we used. I love using her printables! So much color and such cute pictures. The Lil Divas always enjoy them. 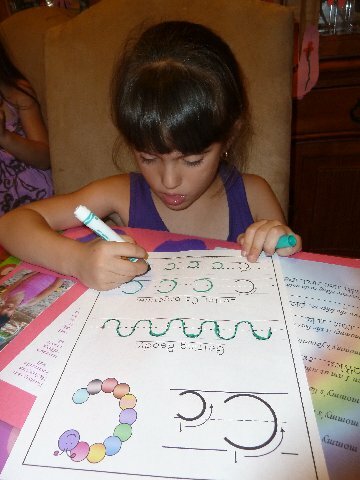 What I like about her handwriting printables (and why I always use them first since we do a few over the course of the week) is that included a pre-writing activity to get the lil hands moving in the correct motion. 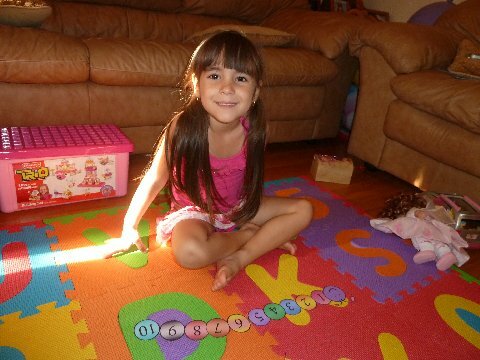 This is great for my Littlest Diva who is still in the learning stage. My oldest knows how to write her letters at this point but the practice is good for her as well because she tends to want to go her own way in regards to formation sometimes. These types of handwriting sheets help form the letters correctly. 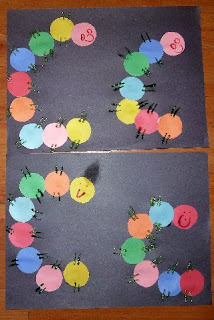 Mixed-up Numbers Caterpillar <--- click for printable from Confessions of a Homeschooler. A cute & easy way to review number recognition & number order. They have worked on this Caterpillar numerous times over the course of the week. There are numbers that are confusing them so I am really trying to get them to recognize & know them. They honestly love doing it - they find the caterpillar so cute & feel so proud when he's complete and they got it right! I laminated the pieces for durability since I knew we would be using them often and have been storing them in a small baggie. 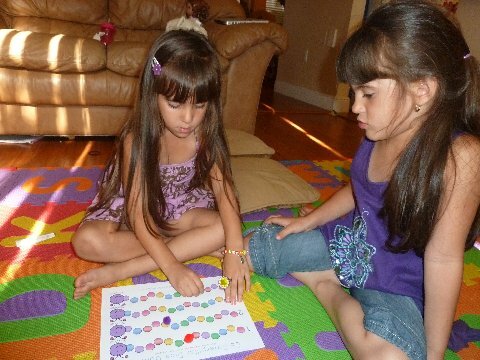 Caterpillar Dice Game <---click for a cute caterpillar game from Confessions of a Homeschooler. There are 2 versions of the game board - one with numbers and one blank. We played the blank one below using fuzzy pom pom balls as our game pieces and foam numbered dice. The Lil Divas really enjoyed it. 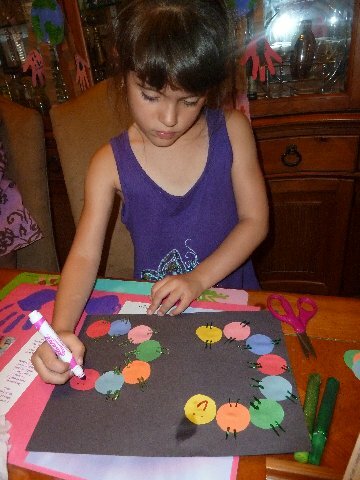 Craft: Colorful Thumbprint Caterpillars - I LOVE thumbprint/handprint/footprint crafts & always find a way to do them! So it should be no suprise that we made these lil critters! Aren't they cute? :) Ok, so how can you make some too? I'll tell you! Paint - any colors you like! 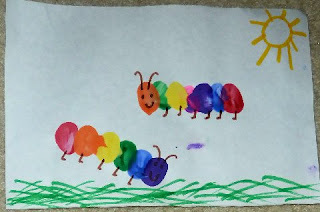 Have your child place thumb in desired paint color and press onto white construction paper where they want caterpillar to be. Do this for as many colors as they like - you can mae small or large caterpillars - it's all up to them! Didn't they turn out adorable? Love them! I need to catch up on my posts now that Blogger has restored my blog. Who knew there were so many fun activities related to caterpillars? I remember reading the Hungry Caterpillar in school, but was about it. Kudos to you on the new house guests. I have a strict no bugs or insects allowed policy here because I have nightmares of Moo letting them run rampant and that's the last thing I need with a new baby one the way in 2 weeks. I bet my mom still has nightmares about my ant farm. LOL. I love it! 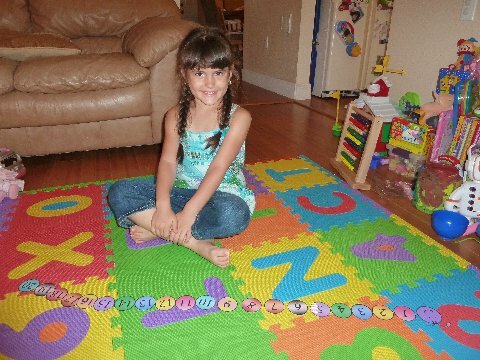 That is so awesome how you made the letter C with a caterpillar! And the fact that you even have LIVE caterpillars is even better! 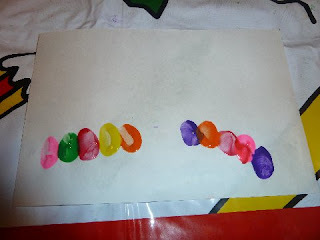 I love the Caterpillar finger prints craft! 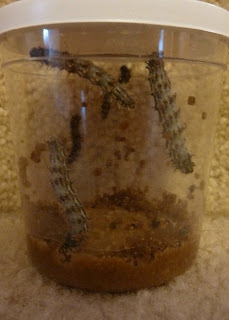 Our caterpillars are set to arrive from Insect Lore this week - always so much fun! Cute! Love it! 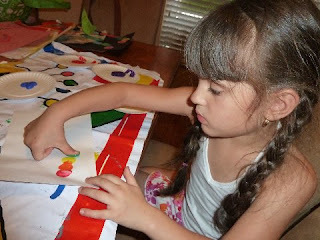 I would love if you linked this up to my Made by Little Hands Monday party!! Your link up is also an entry to a giveaway!! Hope to see you there! Those caterpillars are lovely! Thanks for joining WMCIR with your caterpillar-themed books. I love watching caterpillars grow. We forgot to order ours this year. What a great week! I love the caterpillar C's-they are too cute!! The game looks like such fun! I love your craft. We've been raising butterflies too. This is my fourth year and it's always amazing to watch and do many activities related to their life cycle. This shows a few of the things we've done this year.